How you choose to receive your pension is a big decision. You can't change your mind, and your choice will impact your level of retirement security for the rest of your life. If your company gives you options, you need to carefully weigh out the pros and cons of taking a lump sum versus receiving an annuity distribution before you make this permanent decision. Some companies require you to take your pension plan in the form of an annuity payout; essentially monthly payments for your life. More and more companies, however, are giving you the option of taking your pension as a lump sum distribution instead of an annuity payout. Or, in some cases, you can take part of it as an annuity and part as a lump sum. Below are the items to consider, and an example of how you do the calculations to compare options. Access to money to do with as you please. If properly managed, you may be able to generate the same amount of income that the annuity would provide, and retain control of the principal to pass along to heirs. Having access to a lump sum of money makes it easy to spend it too quickly. If money is improperly managed, invested poorly, or the markets just don't do well over your first ten years of retirement, you may run out of money. Guaranteed income for life. You cannot outlive your income. No investment management decisions or responsibilities. If you have a large pension, a portion of your future pension benefits guarantee is based on the financial stability of your former employer. Benefits could be significantly reduced if they do not properly manage their pension fund. However, with most pensions, a portion of your pension benefit is insured by the PBGC (Pension Benefit Guarantee Corporation). 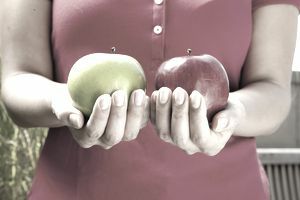 Once you understand the pros and cons, you need to look at the potential rate of return for each choice and compare that with the risks involved. Below is an example. Numbers are from a real retiree who was trying to decide if he should take a lump sum or annuity distribution. Let's assume Joe is age 62, about to retire, and he has the following options as to how he collects his pension. If Joe chooses the single life annuity option he will receive $2,250 for as long as he lives. The monthly benefit stops when he dies, so if he lives only one year, no additional funds will be paid out. If he is married, his spouse will not receive a survivor benefit. If Joe chooses the 50% joint and survivor annuity option, he will receive $2,078 per month, and upon his death, his spouse would receive $1,039 per month as long as she lives. If Joe chooses the 100% joint and survivor option, he and his spouse will receive $1,931 per month for as long as either of them is still alive. In this scenario, Joe is taking $319 less a month so his spouse will continue to have a substantial benefit upon his death. Think of that $319/month as buying life insurance. To answer this, Joe must calculate the internal rate of return of the annuity and compare that to the expected internal rate of return on the investments he would make if he took the lump sum distribution. To calculate the internal rate of return of the single life annuity pension choice, Joe should consider a few life expectancy options. First, use a present value of $347,767, monthly payments of $2,250 every month for twenty years, and nothing left over at the end. This equates to a 4.76% internal rate of return. Then use the same numbers, with payments for twenty-five years. That equates to just over a 6% internal rate of return, and get Joe to age 87, which is a reasonable life expectancy estimate to use. For the 100% joint and survivor annuity option, and a twenty-five-year payout, the rate of return is 4.49%. If Joe's wife is younger, and a thirty-year payout occurred, that bumps the return to 5.29%. If Joe takes a lump sum distribution, he will receive $347,767. He can then choose to invest these funds however he wishes. If he follows a disciplined set of withdrawal rules, he may be able to create an income stream of 5% a year, have the ability to increase this income each year to help offset the effects of inflation, and retain control of his principal; however, he would need to follow a consistent investment strategy over a long period of time to accomplish this, and - of course - there are no guarantees that it would work in all market conditions. Using a present value of $347,767, monthly payments of $1,449 that increase each year by 2% a year and Joe’s single life expectancy of about 20 years, and a future value of $347,767, this would equate to an internal rate of return of about 6.5%. This rate of return is assuming the funds are managed appropriately, thus providing the inflation-adjusted distributions while maintaining principal. The question Joe now needs to ask is, “Is the additional potential return worth Joe taking on the risk of managing the assets himself?” Some people absolutely do not feel comfortable with the funds remaining in the company’s pension plan. Others absolutely do not feel comfortable rolling the funds out of the plan to an IRA and managing it themselves or hiring someone to manage it. You must evaluate the pros and cons, and the equivalent rates of return, and make your own decision. In the past, about one-third of the time, a well-managed portfolio would have achieved an average annual internal rate of return that was less than 6%. This is because something called sequence risk can have a big impact on your returns when you are drawing money out. Don't rely on the market to deliver above-average returns in retirement. Many annuity offers are quite attractive, especially if you factor in the potential of living long. Don't pass over the annuity offer without an analysis and a strong rationale as to why the lump sum does not make sense in your situation. What about annuity vs. IRA. Did You Know Beneficiary Designations Override Your Will?